Lama Kunga and Lama Jampa give Buddhist teachings at Sakya Samten Ling in Los Angeles. 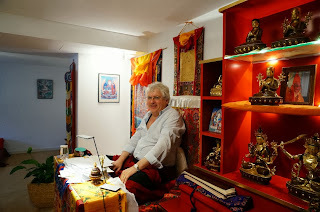 Lama Jampa gives Karma Kagyu Buddhist teachings in Austria, Vienna. 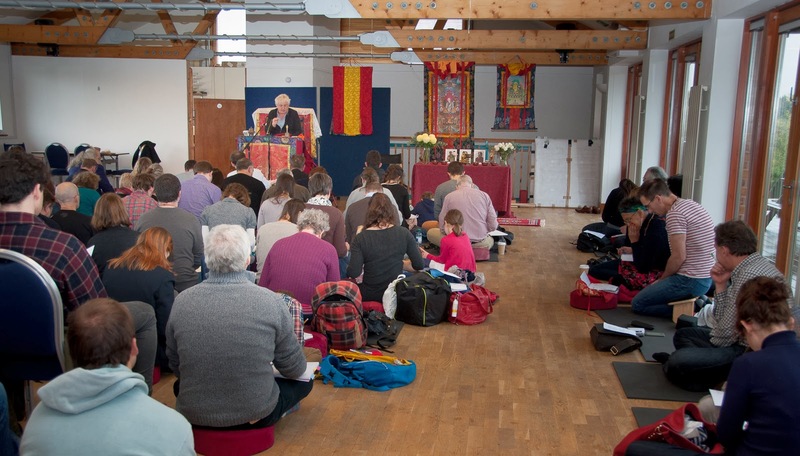 On Saturday, 9 November Lama Jampa Thaye taught the final part of the famous commentary by the Sakya and Kadampa master, Gyaltse Thogme Zangpo, on the Seven Points of Mind Training. 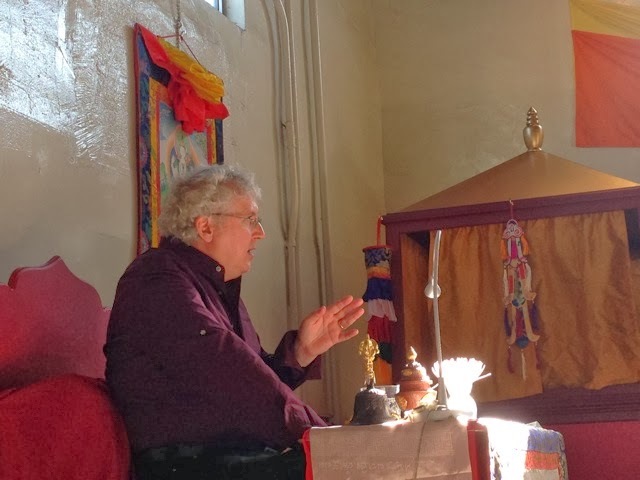 Lama Jampa also bestowed the Initiation of Manjuvajra. 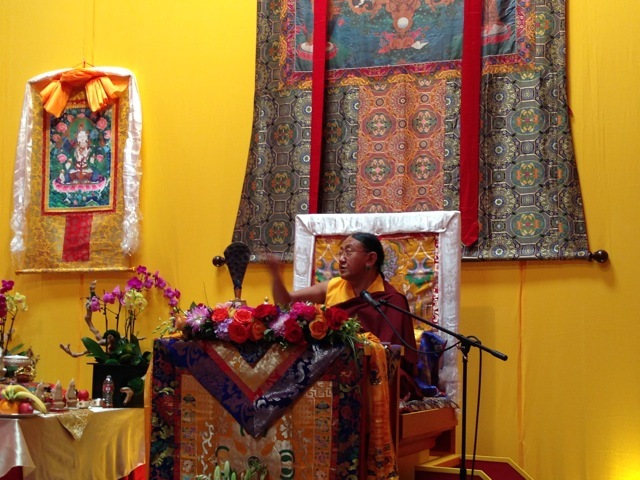 These teachings were hosted in London by Sakya Dechen Ling. 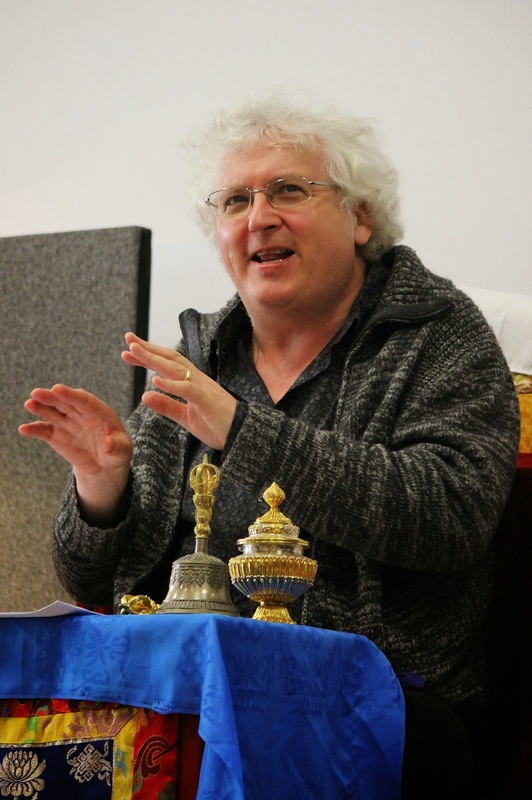 Lama Jampa will travel to Manchester on 30 November to teach the first part of 'Discriminating Between Consciousness and Primordial Wisdom' by Karmapa Rangjung Dorje and its accompanying commentary, 'The Lamp that Dispels Darkness', by Karma Thinley Rinpoche, as well as to bestow the Initiation of Amitabha. 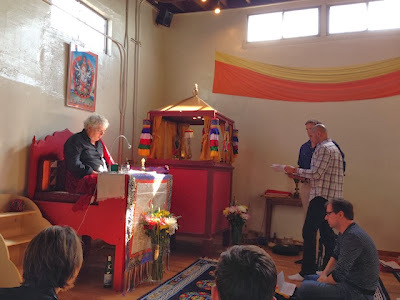 On Friday, 25 October Lama Jampa Thaye arrived in California to bestow a number of teachings. Lama Jampa's teaching programme commenced on Sunday, 27 October when, hosted by Yeshe Nyingpo, Lama Jampa taught the chapter on Bodhichitta from The Rain of Clarity. The next Tuesday evening Lama Jampa gave his first public talk in Santa Monica, hosted by Sakya Samten Ling, titled “Buddhism in Modern Times”. 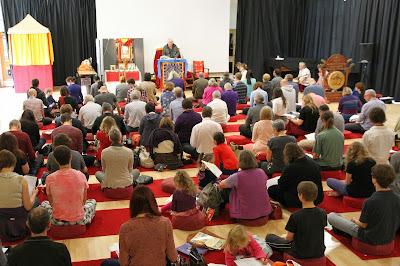 Many people came to hear the dharma for the first time and had an opportunity to participate in a Q&A session with Lama Jampa at the end of the evening. 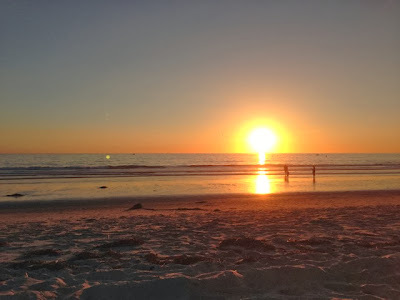 The following Saturday, 2 October in Santa Monica, hosted by Sakya Samten Ling, Lama Jampa taught the first half of The Seven Points of Mind Training by Geshe Chekawa, together with the commentary by Gyalse Thogme Zangpo. Lama Jampa will teach the second half of the Seven Points of Mind Training on 21 December in Santa Monica. On Sunday, 3 November Lama Jampa gave the initiation of Gonkar from the Shangpa Kagyu lineage, which he received from Phende Rinpoche. Lama Jampa also gave the reading transmissions for the sadhana of Gonkar and the sahdhana of Tangtong Gyalpo Chenrezik. Lama Jampa’s next teaching is in London, England where, hosted by Sakya Dechen Ling, he will continue teaching The Seven Points of Mind Training by Geshe Chekawa, together with the commentary by Gyalse Thogme Zangpo, and give the initiation of Manjuvjra. 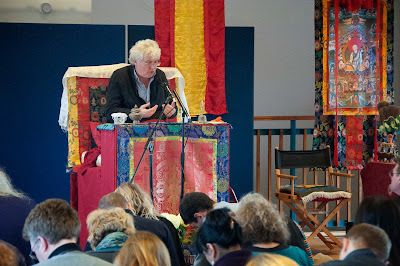 Lama Jampa Thaye visited Sakya Dechen Ling, Stuttgart on the weekend of 29 to 30 September. During this time he taught the fifth part of Nagarjuna's Letter to a Friend with Karma Thinley Rinpoche's commentary The Telescope of Wisdom. 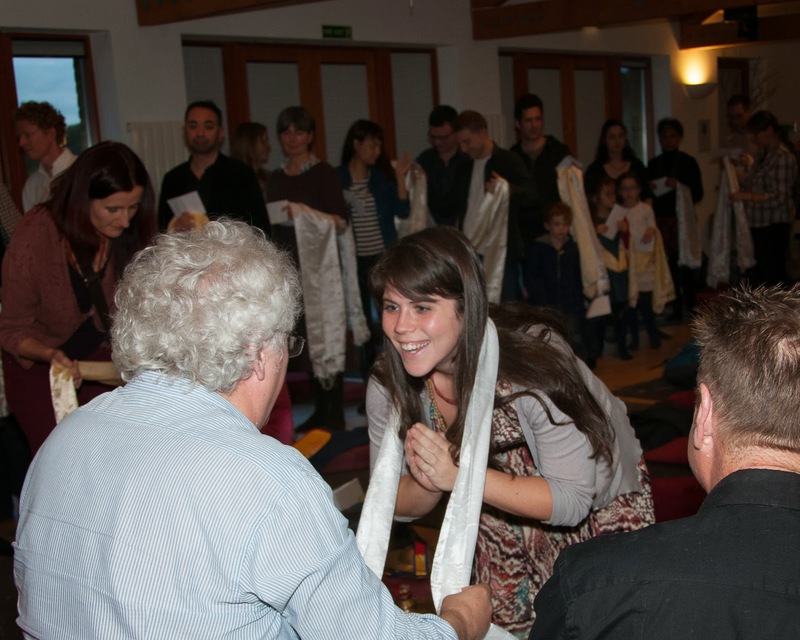 Lama Jampa also bestowed the initiation of White Mahakala. Lama Jampa will return to Stuttgart in February 2014 when he will complete the Letter to a Friend and bestow the initiation of Green Tara. 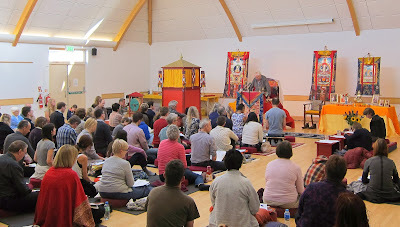 On Saturday, 21 September, Lama Jampa Thaye made his autumn visit to Yorkshire in order to bestow the initiation of Sangdu Vajrasattva from the Guhyasamaja tradition and to continue his explanation of Dampa Sanjay’s ‘Hundred Pieces of Advice to the People of Tingri’. The initiation was given to sangha from all over the country and the textual teachings were open to the general public. 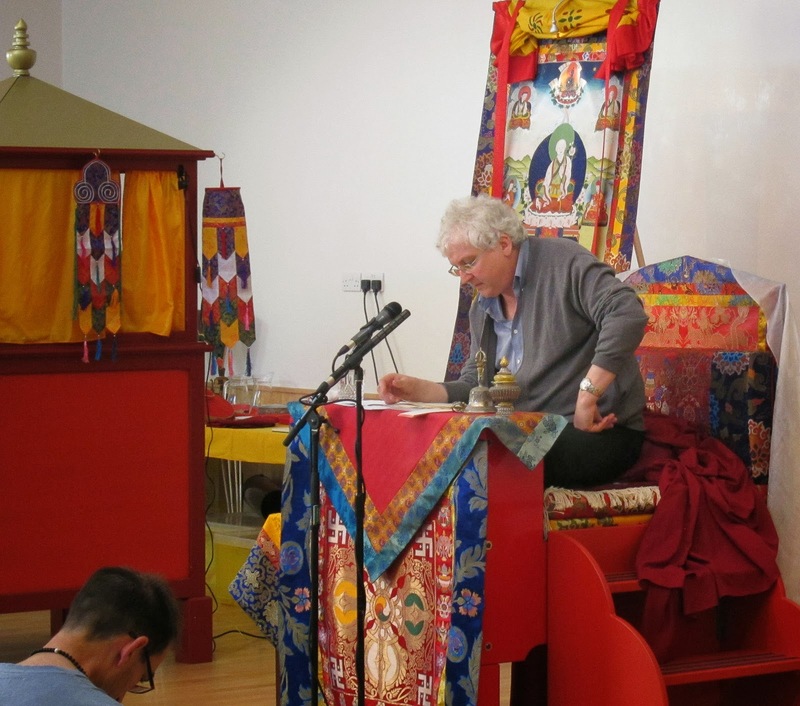 After the initiation, Lama Jampa explained that the initiation had been given particularly to benefit those practitioners who would need it to support their ngondro (vajrayana preliminary practices). 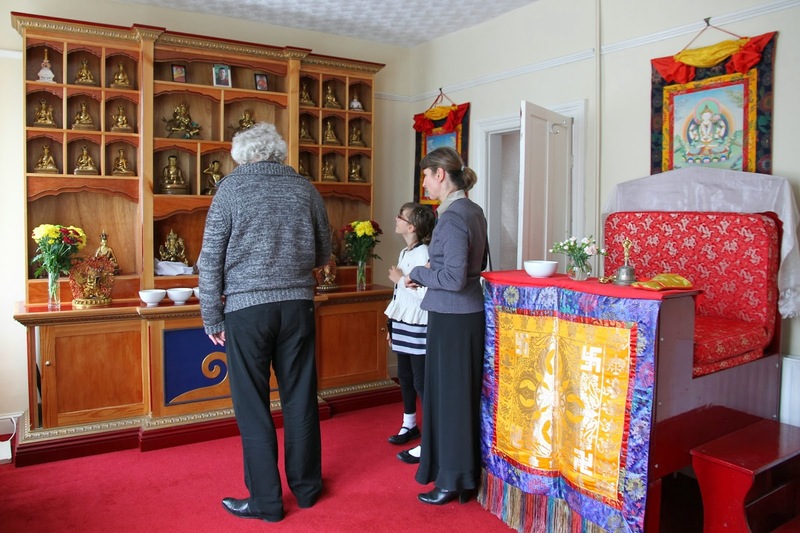 The visit was particularly auspicious as it closely followed the purchase of the new centre for Kagyu Dechen Dzong in central Harrogate which Lama Jampa blessed on Saturday afternoon.